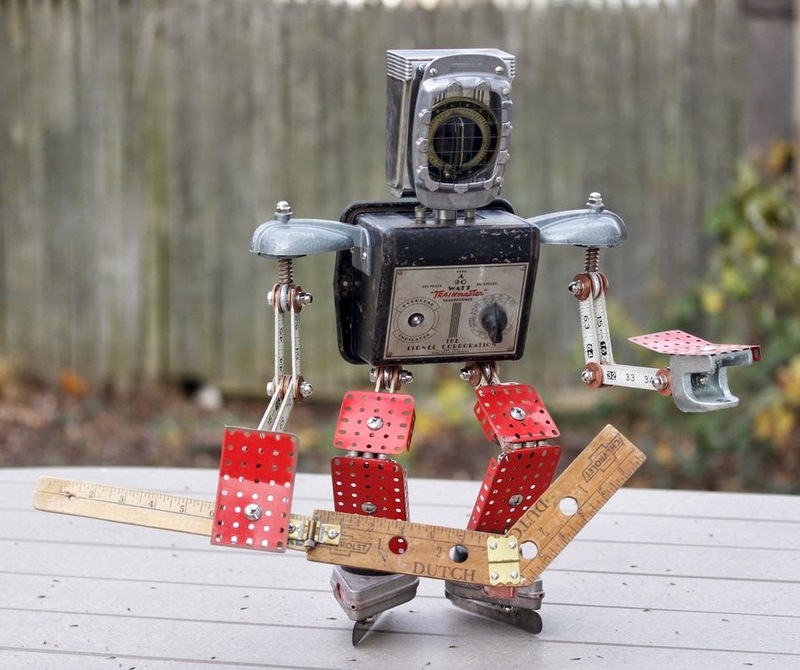 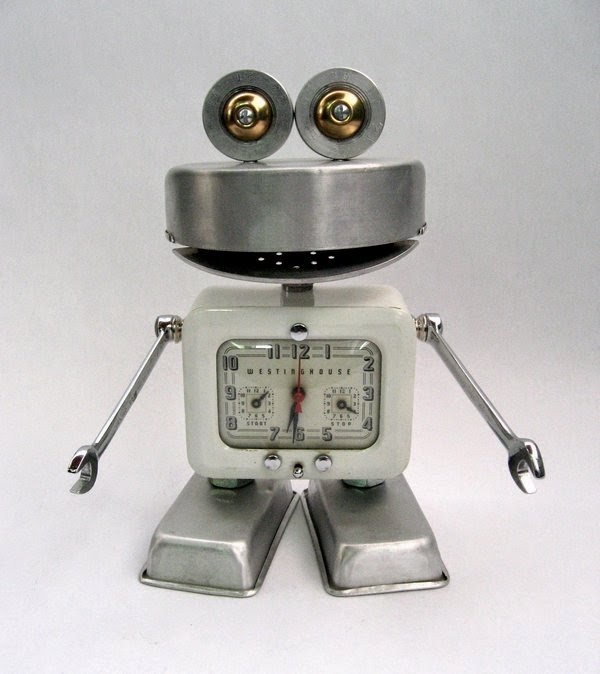 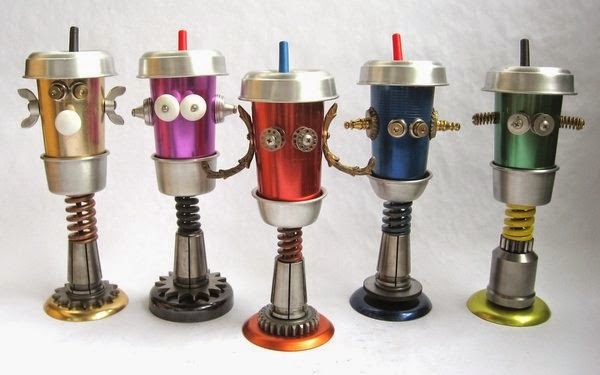 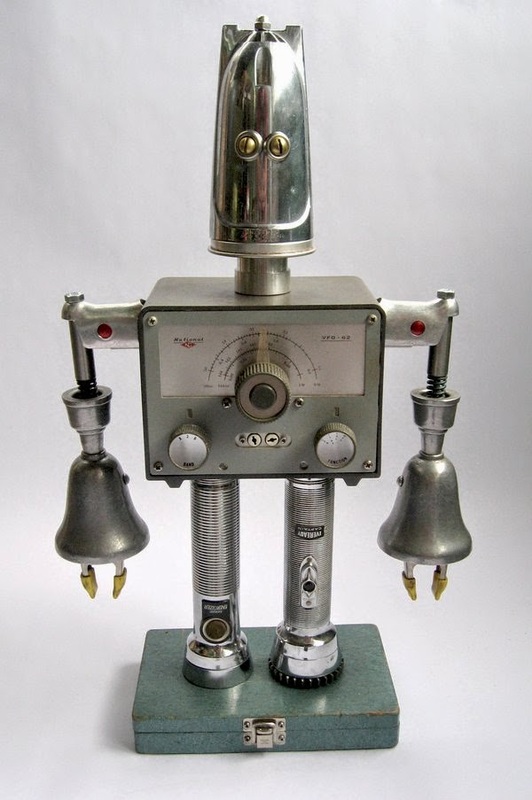 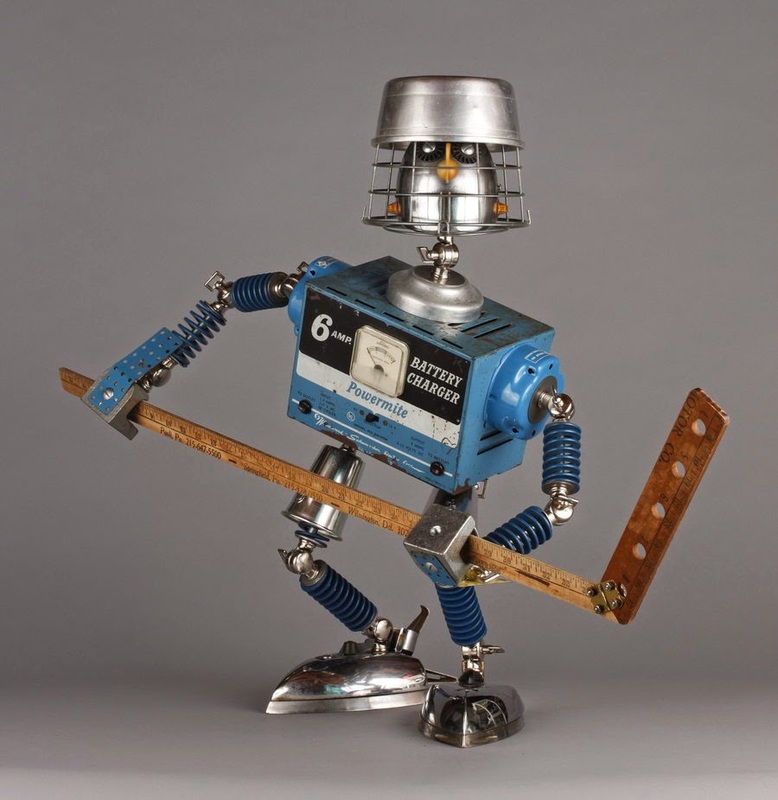 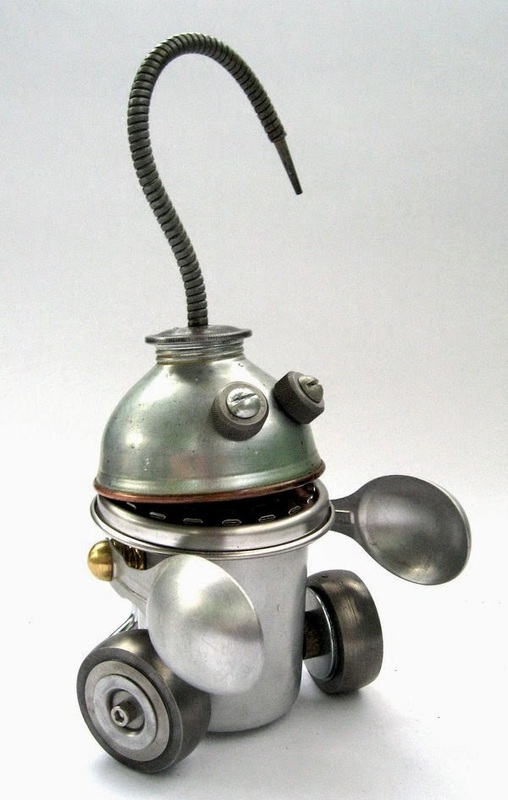 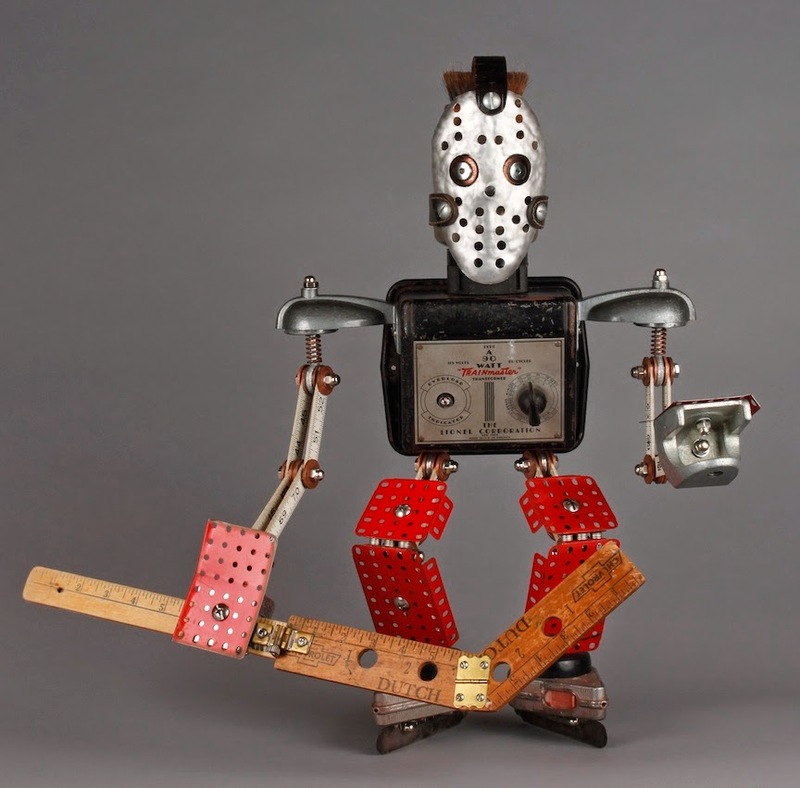 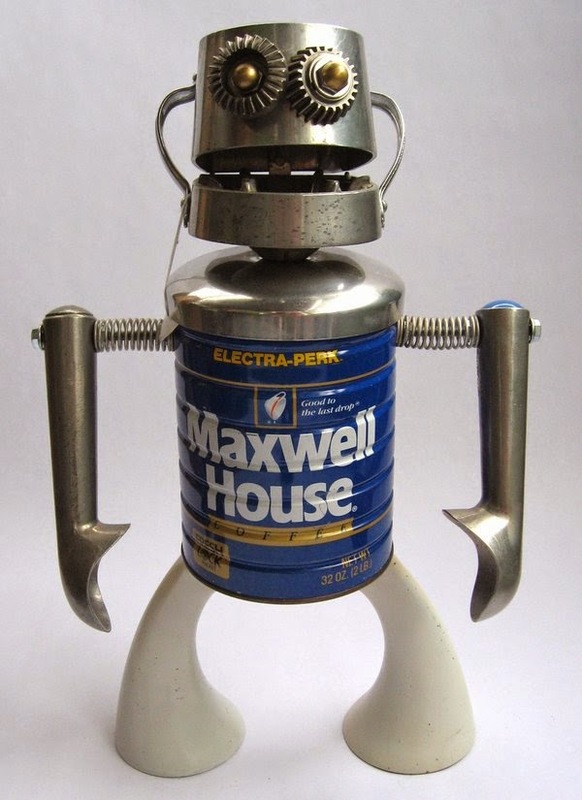 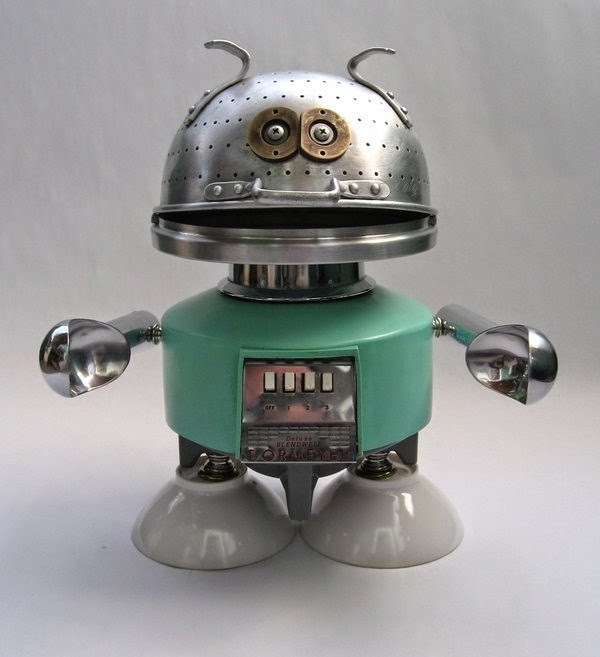 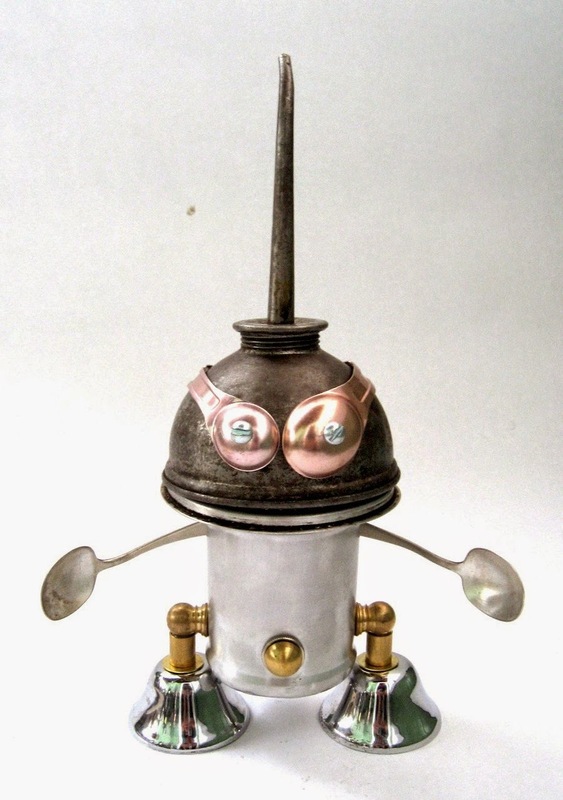 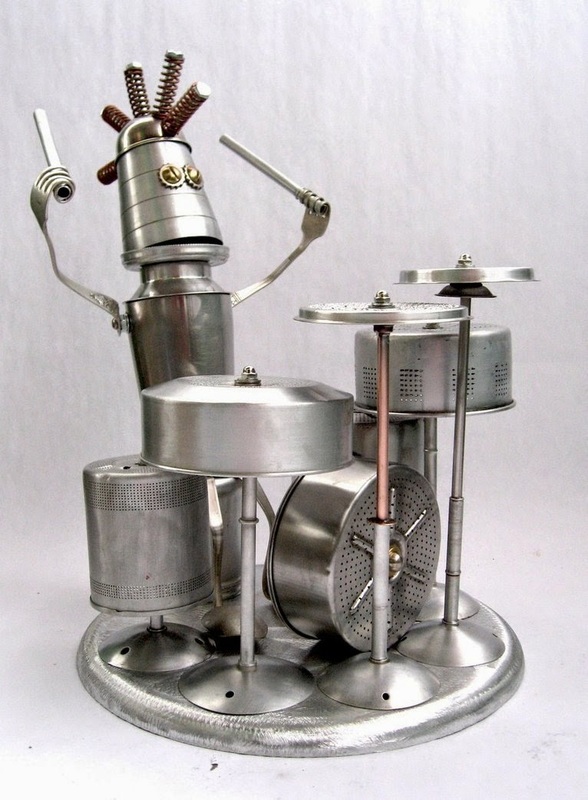 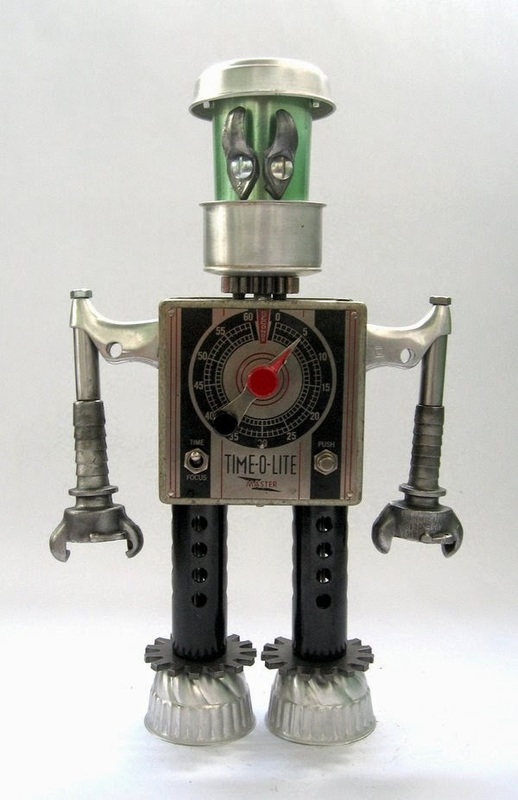 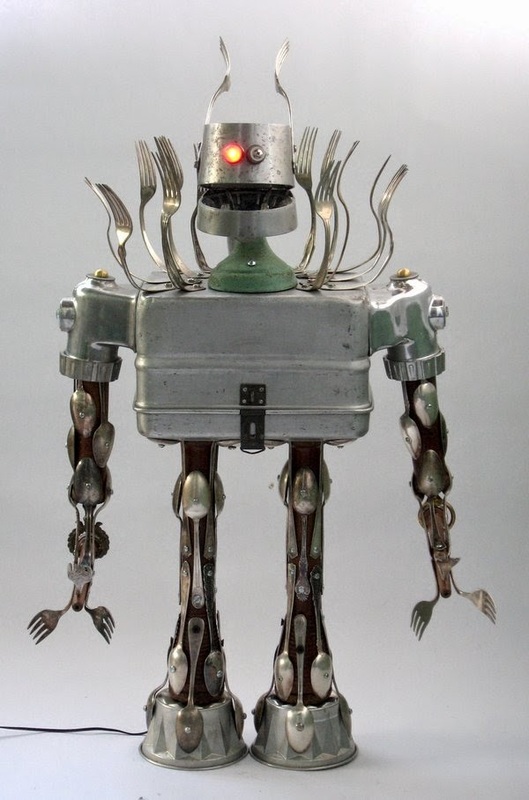 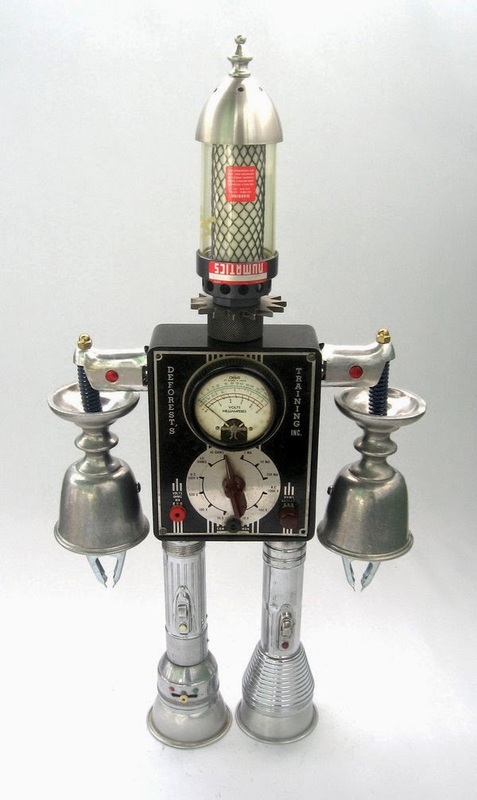 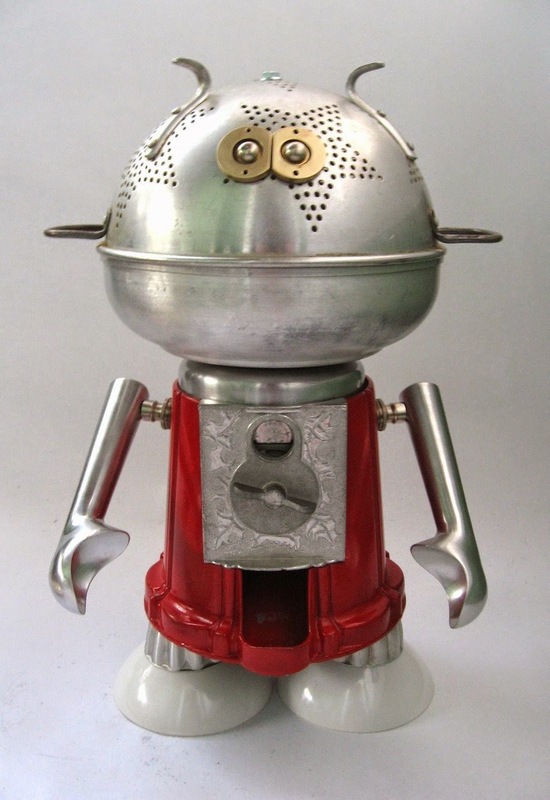 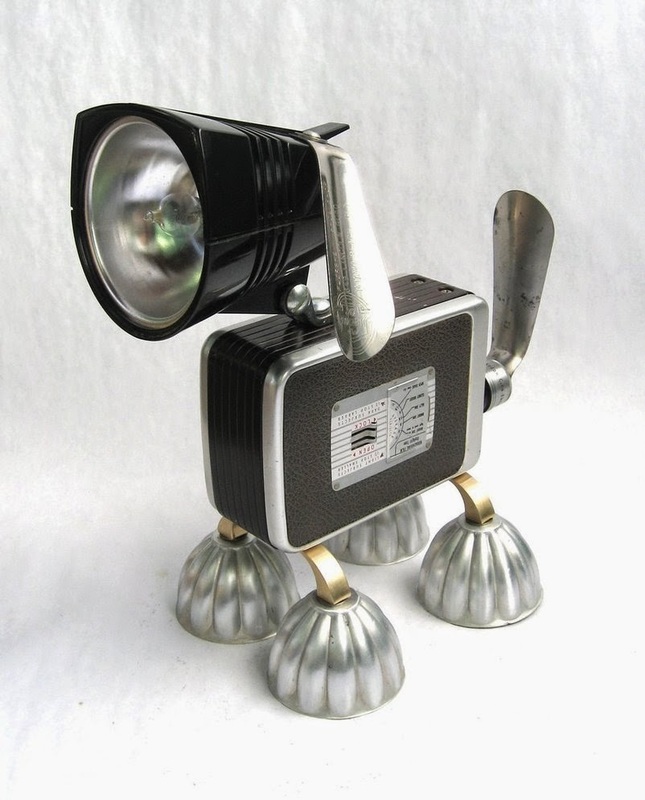 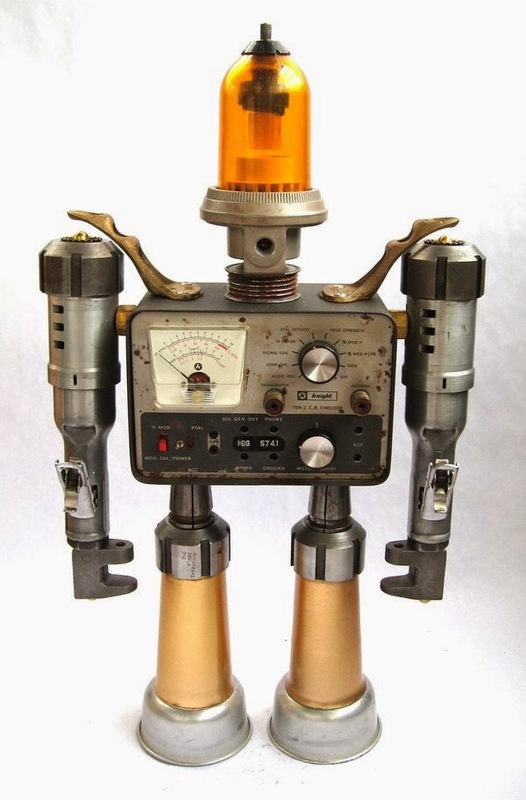 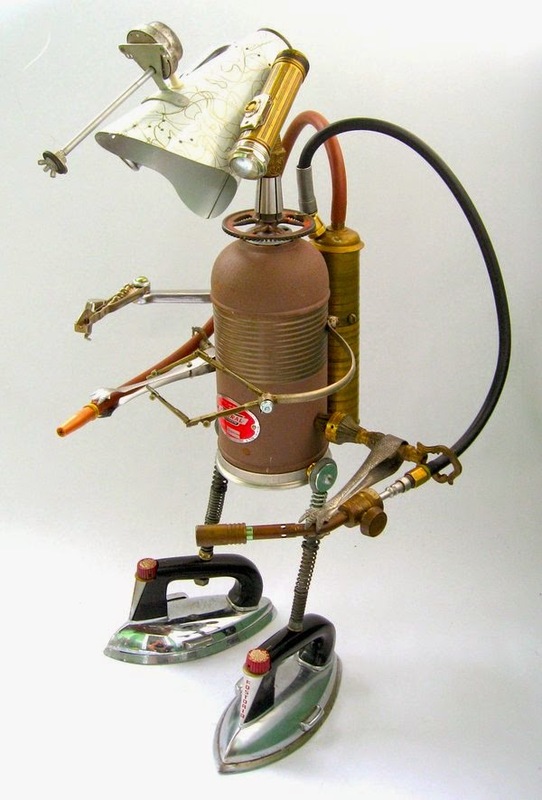 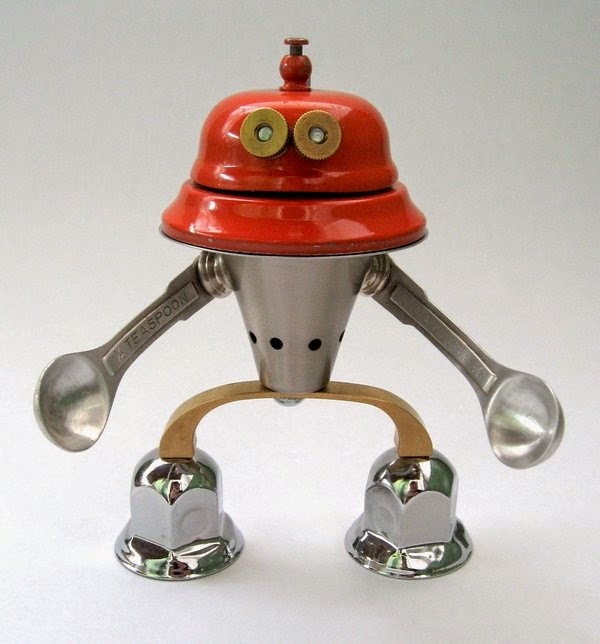 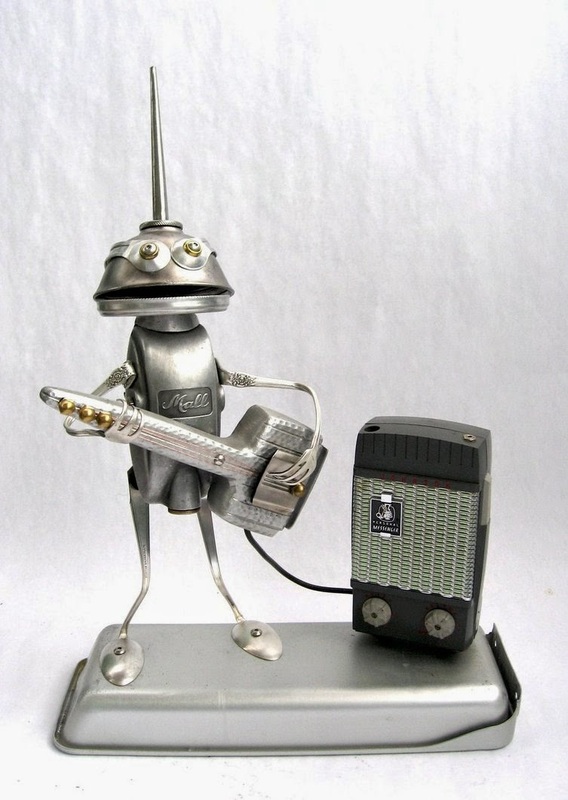 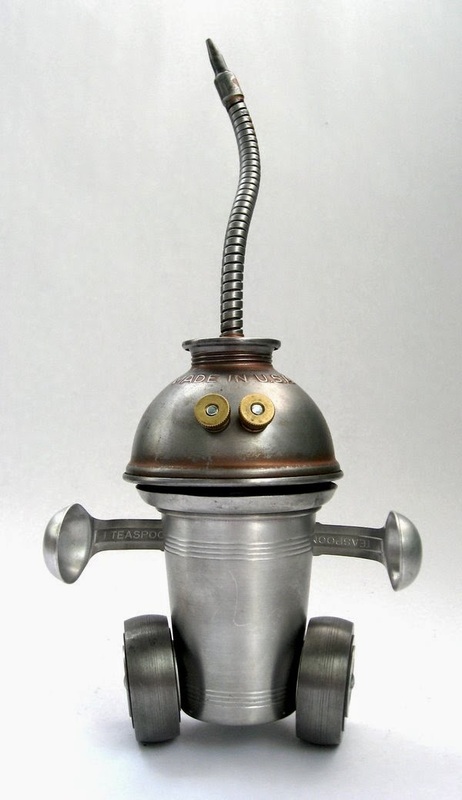 These lovely Robots are put together with recycled items, that when assembled have a real retro feel. 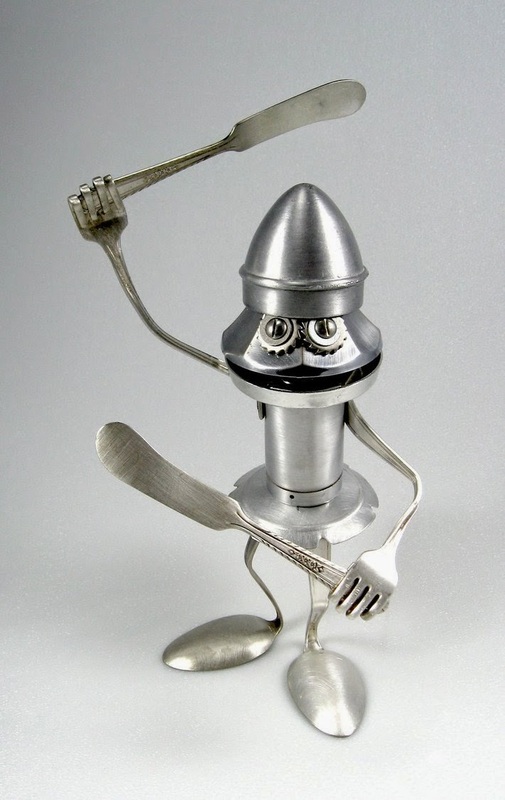 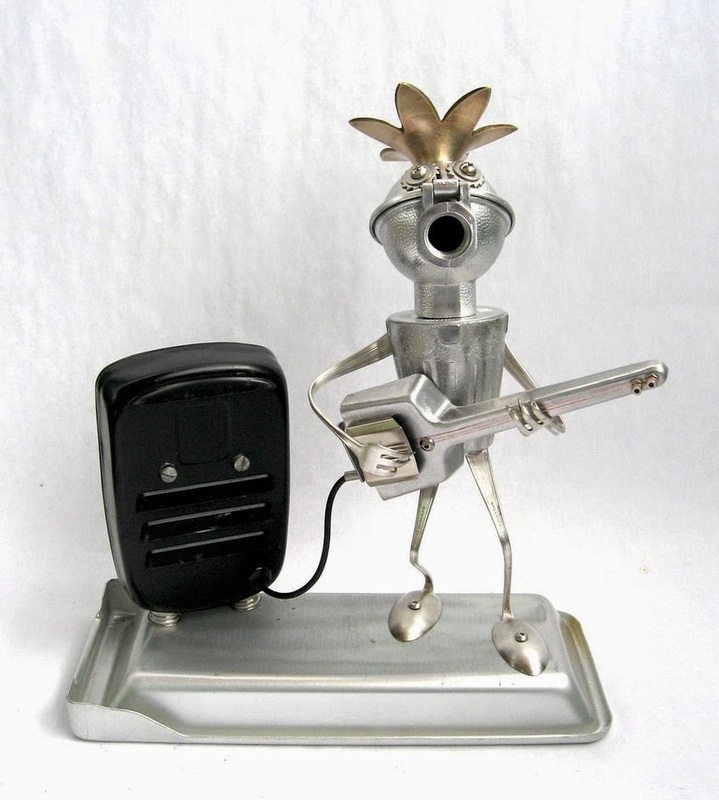 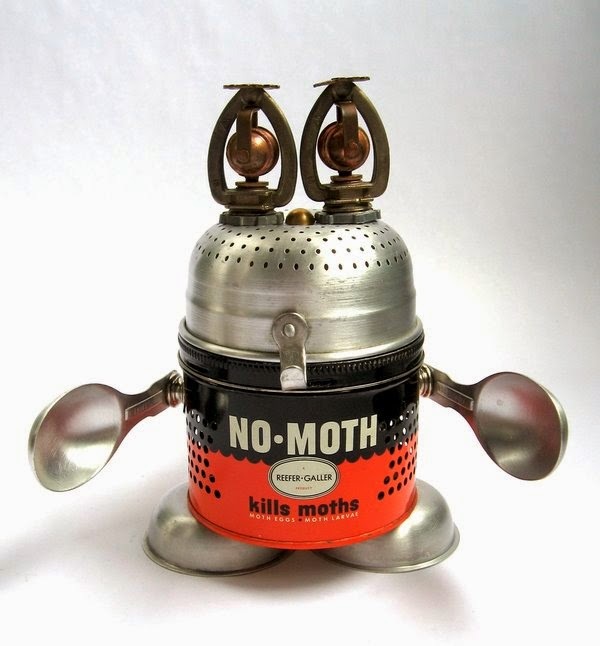 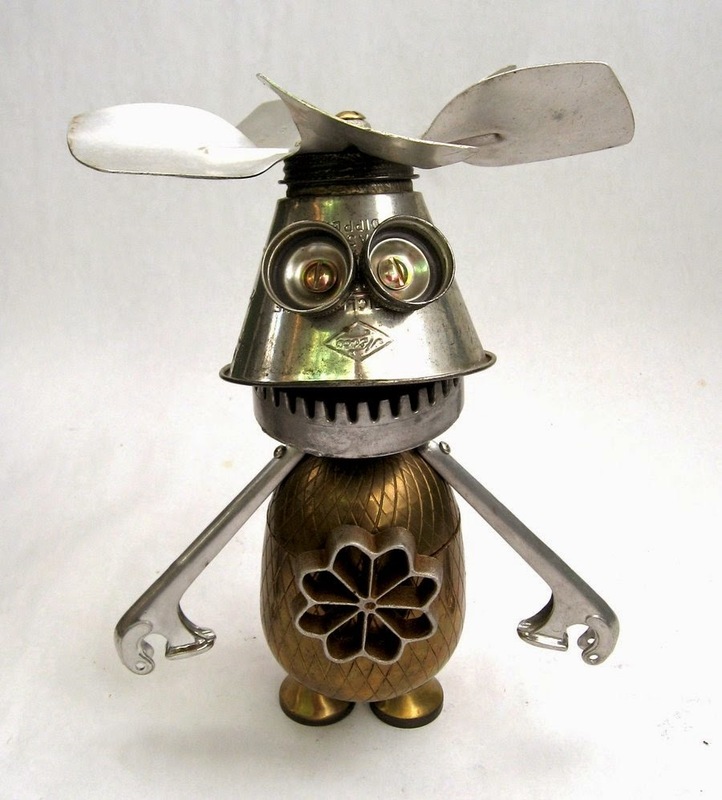 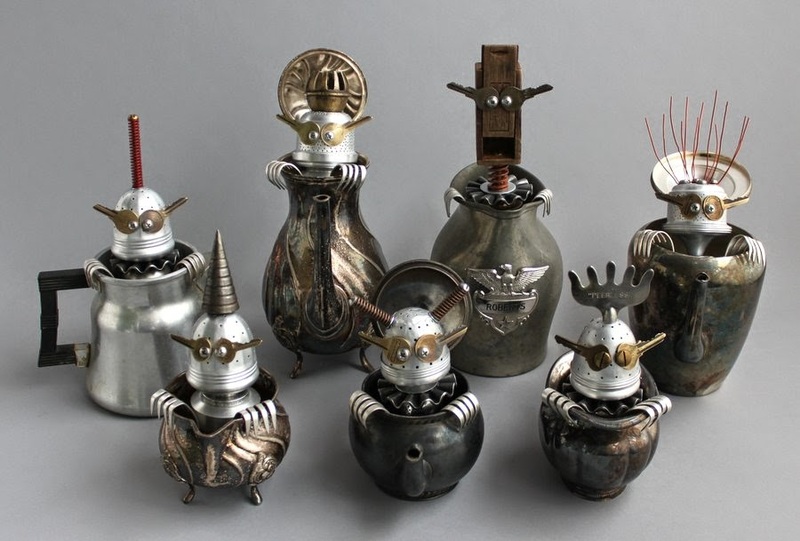 Brian Marshall constructs them from discarded materials of all different sizes. 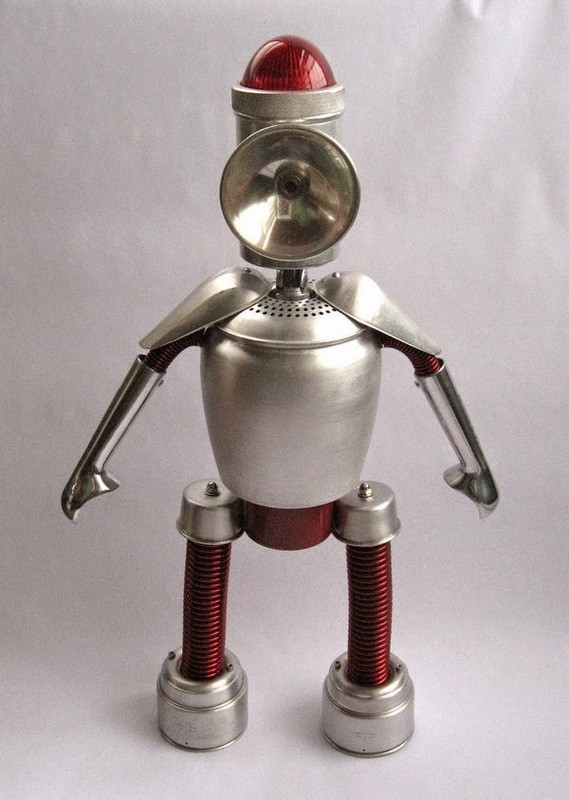 When you recognise some of the components that are used for these Sculptures you will be able to give them scale. 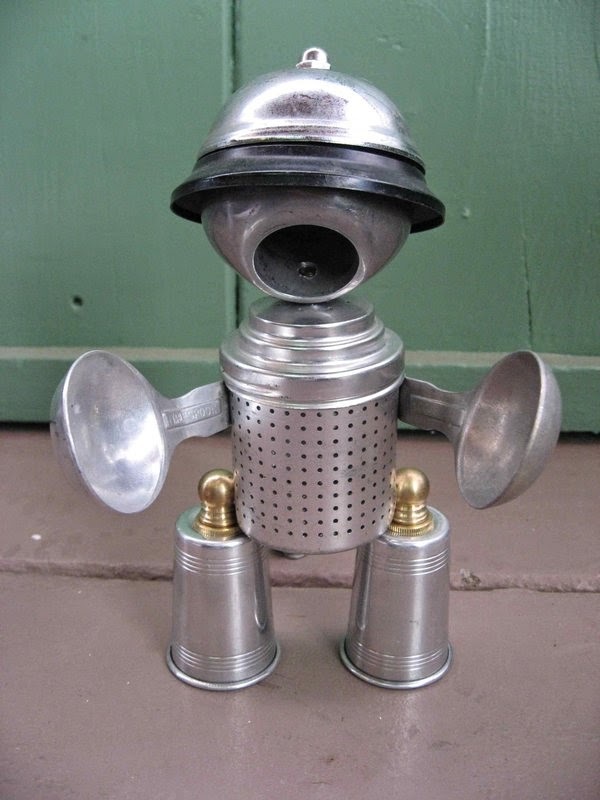 We don't think that these sculptures will put an end to our wasteful habits straight away, but it is a way of showing that used recycled items have value and this starts counteracting decades of being told that we have to throw away the old and keep buying new. 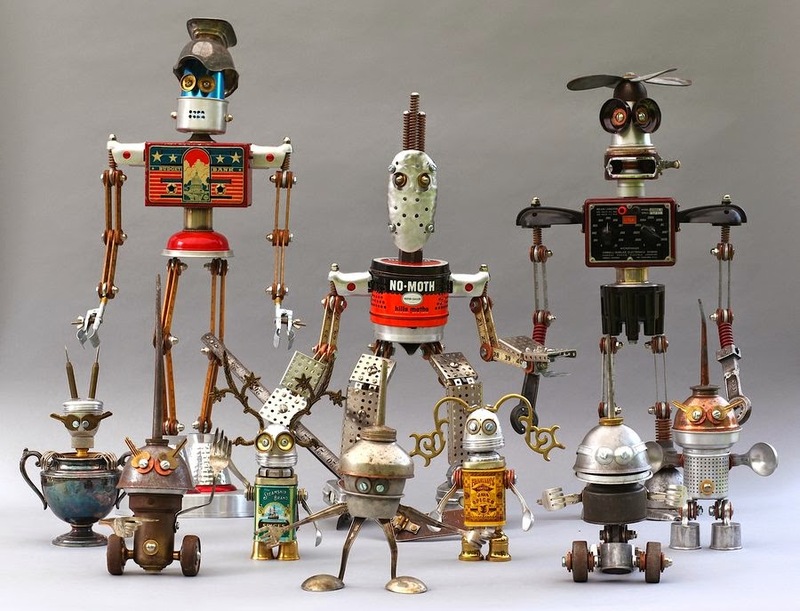 Enjoy the lovely creations, once in the article you can enlarge the image by pressing it (not the first one).